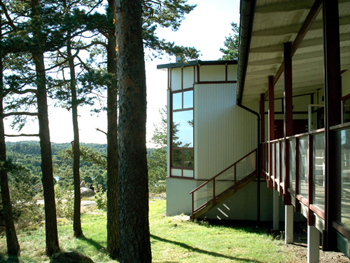 You will be staying at the college of Nordiska Folkhögskolan , situated in the lovely town of Kungälv in the district south of Bohuslän. Either you arrive at Landvetter Airport or Göteborg City Airport (Säve) you take the bus (Flygbussarna) to Nils Ericson Terminal in Gothenburg. From there you take the "Green Line" (Grön Express) to Kungälv. From there you should board a taxi to Nordiska Folkhögskolan. Starting from Gothenburg Nils Ericson Terminal, take the "Green Line" (Grön Express) to Kungälv. From there you should board a taxi to Nordiska Folkhögskolan. Kungälv is about 20 km north of Gotheburg right beside the E6 direction Oslo. Let the route planner take you to Nordiska Folkhögskolan.